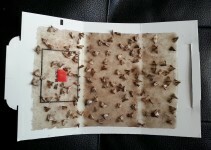 I just wanted to let you know that I received my order for moth traps today. I had noticed the moth population had started to dwindle the past few days (they must have been hiding) but within a minute of assembling one of the traps, there were at least 5 moths right near it. I put that one by my front door and put the other one in the kitchen. We went out for dinner and when we got back there were quite a few months in the trap by the door and at least 1/3 filled for the one in the kitchen. 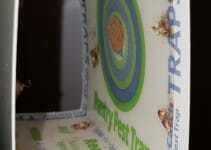 I just assembled 2 more traps and before I did, not a moth to be seen, but again, within seconds they appeared!